For your convenience we offer a full array of Home Exterior & Interior Services to add value and enhance the appeal of your home. Skylights are a great way to add natural light to your home. But like all things, skylights have a tendency to wear down over time. Sometimes a simple repair can correct the problem, but other times an entirely new skylight may be necessary. We offer a full line of Velux Skylights and they come with a No Leak Warranty. Velux also offers a energy efficient tax credit. Our company provides window and door installion services for clients in the Chicagoland area. Upgrading your doors & windows will not only look great, but can significantly reduce your energy costs with better insulated window glass. 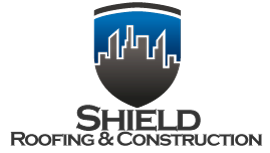 Shield Roofing & Construction is a Pella Certified Contractor! We have the expertise to get the job done right, at an affordable price! As chimney service experts, we can perform complete chimney restoration work to ensure that your chimney is venting properly. We also perform annual inspections and routine maintenance, allowing you to rest easily knowing that your chimney is in working order and in great condition. 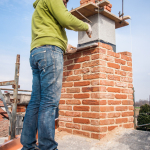 We have masonry workers on staff to bring your chimney back to life just like new. During the treacherous months of winter, if you live in Chicagoland, your roofing is likely to accumulate snow and ice and it can and will cause damage to your roof. The gutters will clog up with ice, then water runoff gets trapped and eventually backs up under the shingles and leaks into the house. The weight of snow and ice can also be damaging to the entire structure. Every homeowner has a vast list of upkeep responsibilities when it comes to their home. Aside from the functional items, keeping up the appearance of the exterior is also important. 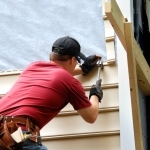 Siding offers your home a fresh new face. It is installed on the exterior walls of your house and gives you a versatile array of décor options that will make your home look newly built. 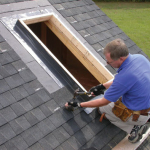 Flashing is pieces of sheet metal or other metals that are installed at seams and joints on a roof. 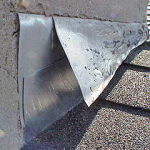 Proper flashing will prevent water from penetrating the roof and causing leaks in your home or commercial building. There are a variety of ways to flash a roof, which include using exposed metals that are both effective and tied into the overall design of the roofing. 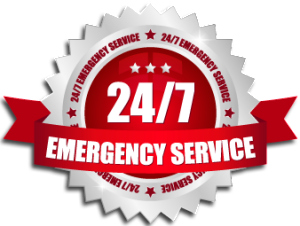 Call Us Today at (312) 809-6993 for a free evaluation and let one of our experts help offer you the best solution to suit your needs and budget.